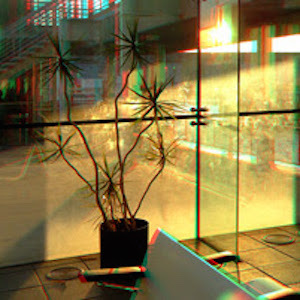 Gerald Marks works at the border of art and science, specializing in stereoscopic 3-D since 1973. His Professor Pulfrich's Universe installations are popular features in museums all over the world, including San Francisco's Exploratorium, The N. Y. Hall of Science, and Sony ExploraScience in Beijing & Tokyo. He has designed award winning projections and sets at the N.Y. Public Theater, SOHO Rep, Kaatsbaan International Dance Center and the Nashville Ballet, where he created stereoscopically projected sets. He created the 3-D mural in the 28th Street station of the #6 train in New York City’s subway. He may be best known for the 3-D videos he directed for The Rolling Stones during their Steel Wheels tour. Gerald was a Visiting Scholar at the MIT Media Lab, where he worked with computer-generated holography. He has taught at The Cooper Union, The New School for Social Research, and the School of Visual Arts, where he currently teaches Stereoscopic 3-D within the MFA program in Computer Art.